Hi my name is Keith and I am the owner of Cawston Driving School. I have been a fully qualified driving instructor now for over 10 years and I have an excellent first time pass rate and I will take you to test as soon as you are ready. Choosing a driving instructor in Rugby can be difficult as there are so many schools to choose from. 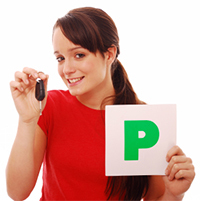 So having a pleasant, humorous and relaxed atmosphere-combined with high first time pass rates makes Cawston Driving School the perfect choice. I spend the majority of the lesson driving unlike a lot of driving schools who seem to spend most of the time parked! So, if you require driving lessons in Rugby why not explore my website to see what I have to offer. If you have any questions, or wish to book a lessons, please do not hesitate to get in touch.